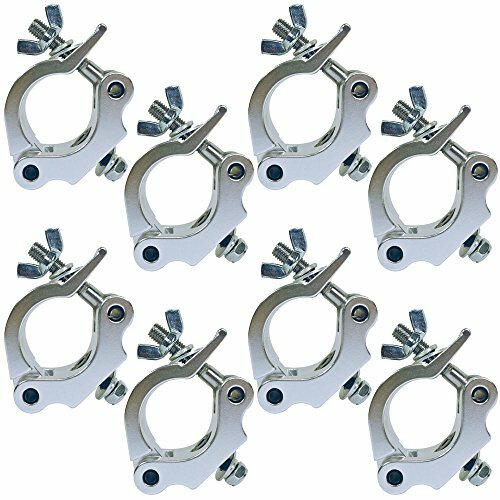 This package includes (8) professional wrap around style clamps. This professional wrap around style clamp the ever popular Pro Clamp is designed for mounting your lighting fixtures and effects weighing up to 1000 lbs. from truss or pipe 2" in diameter. This is a clamp used specifically in a professional envioronment. Ideal for mobile DJ's, light riggers and theater stage hands.